THE B-MOVIE NEWS VAULT: STOCK YOUR VAULT: New DVDs & Blu-rays for 07/11/2017! STOCK YOUR VAULT: New DVDs & Blu-rays for 07/11/2017! It's a late Tuesday night Vault Dwellers and you know what that means: Its time for yet another entry into the STOCK YOUR VAULT archives! This week has a pretty good mix of Hollywood blockbusters, Sci-Fi classics, and indie horrors, with some great titles from all of your fave Blu-ray labels! Arrow Video finally releases their 2-Disc Special Edition of PULSE, which has been delayed time and time again, and Scream Factory hits us with a double dose of Sci-Fi awesomeness with their Collector's Edition of SPECIES and the Blu-ray debut of THE MAN FROM PLANET X! But it's Kino Lorber who wins out this week with four cool titles including SHALAKO (a Western starring Sean Connery! ), THE HUNTING PARTY (Oliver Reed is the most dangerous game! ), STAR CRYSTAL (a film I never thought would see a legit Blu-ray release), and STAR SLAMMER (ditto)! 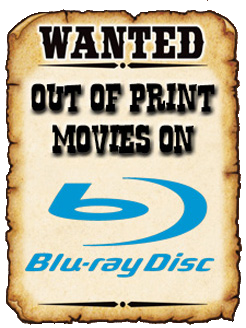 There's plenty of other cool DVDs and Blu-ray discs out this week, so be sure to scroll on down to see what's new!